Belgian Waffle Morning! – Butter, Baking, and Bacon! I remember freshman year on The Hill of Florida A&M University! I was amazed at the cafeteria because it definitely let me know I was in the South. There were several buffets offering loads of a variety of culinary options. One thing that stuck with me was the fact that there were Belgian waffle makers on a counter available every time the cafeteria was open with cups of creamy waffle batter ready to pour! 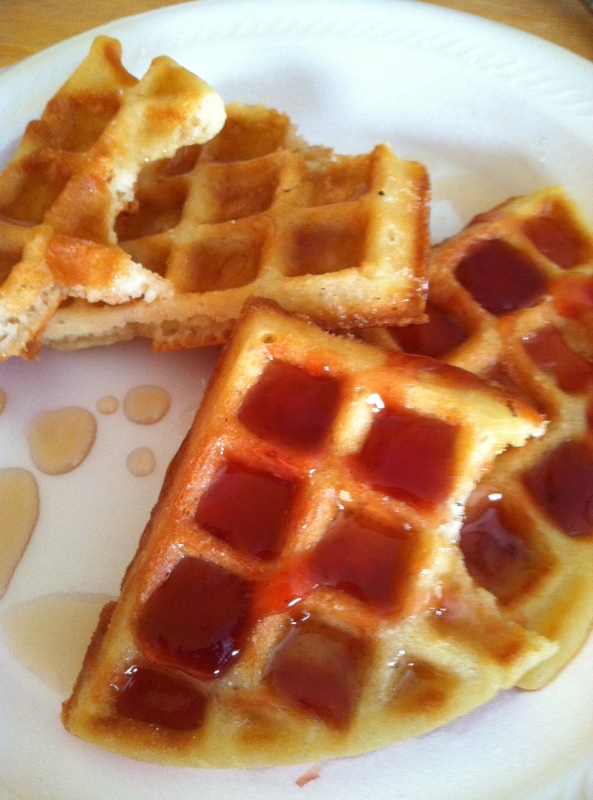 I’ve been in love with Belgian waffles ever since! I just made a batch this morning…..you want to taste them…..well, here it goes! Previous Post One Chicken: Two, Maybe Three Meals! !